Eileen Hsu, Chinese Speaking Real Estate agent in Manhattan New York. Eileen (許小姐) is Chinese and English speaking Real Estate agent in Manhattan New York. Eileen is also a Vice President 副總 of prestigious Manhattan Real Estate firm Prudential Douglas Elliman. Eileen and her team is Ranked in the Top 2% of Sales Professionals & Teams in the United States Prudential Real Estate Network. Eileen has a team that service both sellers and buyers of Manhattan New York market. This entry was posted in Manhattan NY Neighborhoods, Video Blogs and tagged Chinese Real Estate Agent, Chinese Speaking Real Estate agent, Eileen Hsu, Fifteen Central Park West, Foreign buyer on March 26, 2011 by eileenhsu. Eileen Hsu 許小姐, Chinese Mandarin Speaking Real Estate agent explains the price point differences based on neighborhoods and size of the condo apartment in Manhattan New York condo market. This entry was posted in Central Park - Upper West Side, Video Blogs and tagged Chinese Real Estate Agent, Chinese Speaking Agent, Chinese Speaking Real Estate agent on February 8, 2011 by eileenhsu. This entry was posted in Video Blogs and tagged Chinese Agent, Chinese Real Estate Agent, Chinese Speaking Agent, Chinese Speaking Real Estate agent, Manhattan Condo Tours on January 20, 2011 by eileenhsu. 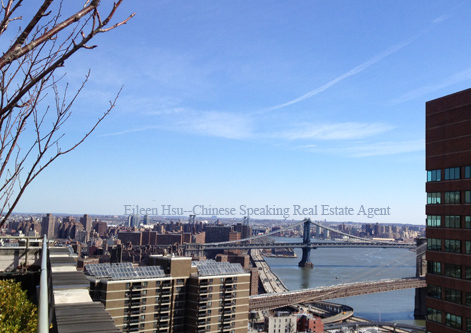 We are Chinese Speaking Real Estate Agent here in Manhattan New York. Call us at (646)644-6929 if you or your family and friends is looking to purchase a Manhattan New York condo. This entry was posted in Video Blogs and tagged Chinese Agent, Chinese Real Estate Agent, Chinese Speaking Real Estate agent on December 1, 2010 by eileenhsu. This entry was posted in Video Blogs and tagged Central Park Condos, Chinese Agent, Chinese Real Estate Agent, Eileen Hsu, Fifteen Central Park West, Manhattan Condo Tours on May 19, 2010 by admin.